Whether you are moving, relocating, starting a new or changing your business location, you are faced with the task of moving furniture. Dealing with a furniture move can be stressful, expensive, and time draining, as moving such big items around the world might not make sense in many cases. You have to sit down and budget out the shipping costs, figuring out what should stay and what should go. Since we develop sentimental connections to our belongings overtime, sometimes it’s not that easy to just throw everything on the curb and pick up where we left off. That’s where international furniture shippingcomes into the picture. How much did it cost? If the cost of your furniture was more then the shipping will be to get it to the next point, it’s important to stick with your investment and look into how we can help you deliver your belongings to the next place. Do you have a sentimental connection to it? If you have memories associated with a chair or couch that you just cant bear to let go, that’s fine! You don’t have to, you can move the furniture with you to the new location and go from there. How old is it? If something is fairly new and in good condition don’t just get rid of it. Hang onto it, and utilize furniture shipping to keep it in good condition while it’s happening. We offer furniture shipping services for art pieces, antiques, computer goods, and household good, helping you to package, wrap, and keep all of your items prospected for their next drop off. Our expert team of packagers are able to access the products, wrap them appropriately, and load them up for delivery at your new abode, whether it be 20 miles away or 3,000 miles away. We know that life can be hard to predict, with new jobs, breakups, changes, and more causing us to move at a moments notice. Instead of dropping your life off on the curb, and moving forward, you can hang onto your furniture through our land, sea, and air-based shipping methods. We will pick the transportation and shipment that is right for you, helping you save money while sleeping better at night knowing your products and goods are safe, and protected. Get a quote today! When it comes time to transport commodities, goods, and cargo, there can be a lot to consider with the process. With freight shipping, you can transport anything your heart desires, providing you with other options no matter what product your company might specialize in. Freight itself is defined as the goods transported by truck, ship, train, or plane, which means any kind of international shipping can fall under the freight shipping umbrella. Why should you consider freight shipping? Safety: You want to make sure your goods arrive on time, protected and supported when they get there. That’s the kind of safety we guarantee with our professional freight shipping services. Speed: Since we are such experts international shippers, we are able to transport your freight in a fraction of the time. With the variety shipping service levels available to you, select the method that works with your timeframe. If you need to get your freight to another part of the world, somewhere that’s 5,000 miles away, the quickest way to make it happen is to take to the air. Our fleet is able to package and transport your products through the sky, no questions asked. Assure that everything arrives safe and sound by the time it’s all said and done. If you are transporting within the country, sometimes taking the land route makes more monetary sense. We recommend with shipping option you should consider for freight, using or land fleet to get your products to destinations that aren’t thousands of miles away. Lastly for the archipelago nations and boarding nations that separated by water, we are able to take the sea, maximizing the convenience of water travel for you product deliveries. 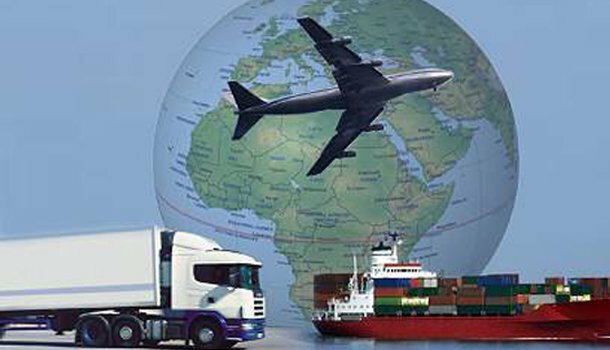 Overall, we understand how beneficial freight shipping is to the success and longevity of any business operation today. That’s why we provide so many different options to our patrons, making recommendations on your behalf so you don’t have to worry about it. The global economy is a worldwide place today, with consumers wanting to purchase from you from all over the globe. You don’t want to restrict your consumer base by shipping to only a select few customers in your geographic region. That’s where international shipping services come into the picture. With international shipping, you can package, ship, and track your products as they make their ways to your customers around the world, you can advertise your products to every consumer either online, or through social media, expanding your market to over 8 billion consumers. For those in Mexico wishing to reach Canada or those in Germany wishing to reach Russia, our fleet will transport your product by land to the desired destination. Using expert mapping and travel resources to get your products to their destination in a fraction of the amount of time taken by other companies. We know the land like the backs of our hands, acting as a travel agent that can navigate any terrain. For everyone else separated by sea, we help your products take the sky, redrawing a route directly to its destination using flight methods. for consumers in the Middle East wishing to reach Americans, or Mexicans producers wishing to sell to Australians, our team can step in with expert packaging services and load the products up into the air for the quickest method of delivery. No region in the world is now off limits from your company. Maybe you live in England and want to ship to Dublin. In a case, where sea shipping is right for you, taking to the ocean for a swift “hop over the pond” to reach your consumers. It’s all about identifying which avenue is right for your location, saving cost while maximizing your international shipping options available to you today. Whether by air, sea, or by land, there isn’t an international shipping route we can’t take on behalf of your product. We want you to be able to reach an audience that is waiting for you in every niche community, providing seamless, and supported shipping services you can count on. The world is you oyster today. There’s only one way to maximize its potential: it’s through international.